In a digital world, paper & ink stand out. 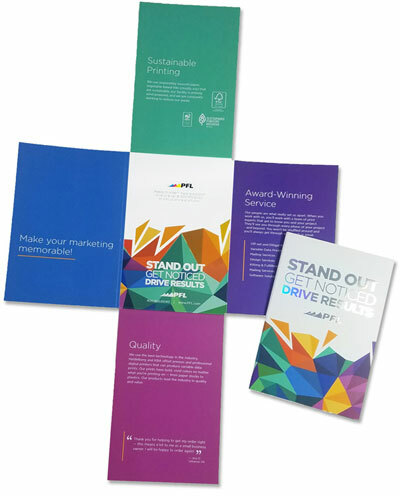 PFL delivers the highest quality printing for any project. We excel at custom printing effects, like die cuts, foil stamping and sophisticated art. Get a sample of our work and get inspired. The detail, care and effort we put into our printing has to be seen in person. You have to touch delicate embossing, see ink in different light and experience subtle finishing effects in person. Get a sample of our work and get inspired. Not sure what's best for you? No problem. We'll get you what you need. Customize your Samples. Why call? Get printing samples targeted to your specific project needs and budget. Discover options for your project you may not be aware of. Request expedited handling if you have a tight timeline. Make a better decision to get the best printed product for your money. To request samples call 800-930-9848, fill out the form below, or Email Us. We respect your privacy. We won't spam you or share your info with anyone. Period. US and Canada addresses only. Call for exceptions. Samples are generic and can not be personalized with your info. I would like to receive occasional updates about products and services, promotions, educational articles, and events via email or direct mail.